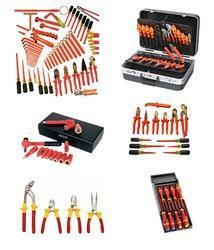 Our organization is highly appreciated by the clients for offering Insulated Tools. Designed using high-grade raw material, these tools are VDE -tested. 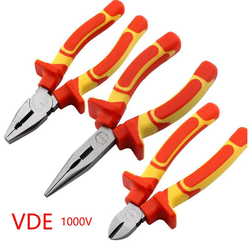 These 1000 volts insulated tools & kits are manufactured using high-grade raw material and advanced machines. The offered tools are available in various sizes that suit the diverse requirements of clients. Professional Tool users have always played a major part in the Facom success story. It is with the help of these professionals that Facom designs and manufactures products with the ultimate goal of making everyday tasks easier and safer. This privileged relationship allows Facom to clearly understand the needs and requirements of each specialists trade, something they have been doing for the past 90 years... It is this close contact with customers that enables Facom to produce innovative,professional quality tools that meet exacting standards of industrial and automotive professionals world over. Stanley is proud of its reputation for excellence. They are dedicated to continually testing, designing and improving our products to ensure quality and maximum function. Maintaining their standing of being the world's best at what they do is important to them and what you expect from a name like Stanley. 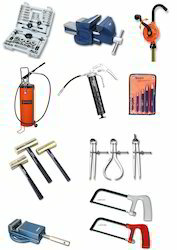 An assortment of products for the home mechanic and homeowner. Surveying & Construction Tools-Laser Distance Measuring Meter, Optical Levels, Tripods, Chalk Lines, etc. 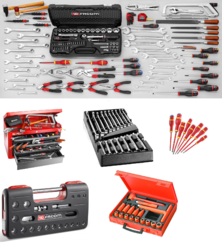 Owing to the rich experience in this domain, we are engaged in offering RIDGID Pipe Wrenches. 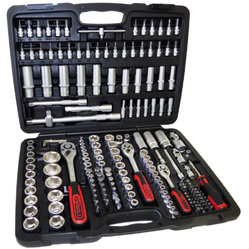 Manufactured using high-grade raw material, these wrenches are developed in adherence with set industry standards and norms. 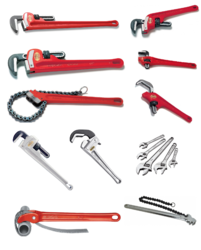 Owing to their durability, high performance and tolerance, these wrenches are widely demanded by the clients. Keeping in mind the various requirements of the customers, we are involved in offering best quality of Non Sparking Tools. 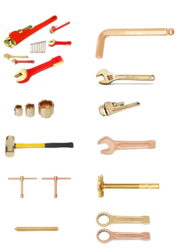 The offered Non Sparking Tools are extensively used for non-sparking tools are brass, bronze, copper-nickel alloys, copper-aluminum alloys or copper-beryllium alloys. Further, the offered products are highly durable in nature. 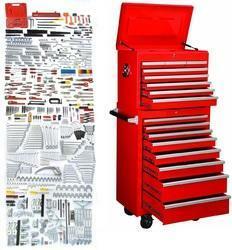 Our organization holds vast experience in offering superior quality Master Tool Sets. These sets are manufactured using high-grade raw material and sophisticated machines to remain in tandem with international standards and norms. The offered tools are also tested on various parameters so as to ensure their adherence superior quality and durability. 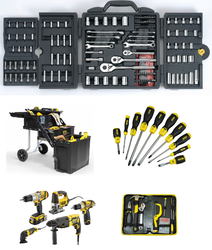 For 22 years KS Tools as a modern tool supplier has continuously provided everyday’s solutions and innovative tools for the consistently changing requirements in our high-tech daily life. 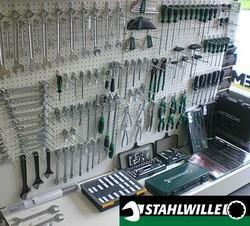 Stahlwille are the pre-eminent tool distributors. 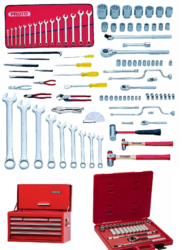 We stock tools designed for people professional working in the automotive, aviation, industrial and mining industries. Our products, are some of the highest quality tool tightening products. They are designed to be more durable, stronger and as a result more economical. Stahlwille tools are easy to use and hold. Each product, from the sockets tool to the special auto tools available, are manufactured with rounded finish to the tool surface making it skin-friendly and easy to grip. 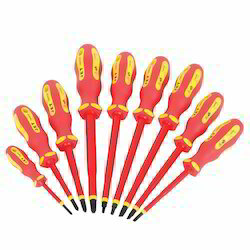 Ideal for electrical work, this screwdriver set is designed with insulated handles to protect against shock up to 1000 volts. GS and VDE certified, these screwdrivers are color coded for easy identification of Phillips and slotted drivers. Each of the screwdrivers in the set features ergonomic cushion nonslip grips for greater torque and less fatigue during use. Great for electricians or anyone who performs electrician work, these high voltage pliers feature insulated grips and safety guards to prevent accidental contact with metal. The pliers are made of drop forged and hardened chrome vanadium steel for durability with a long nose design for reaching into tight spots. 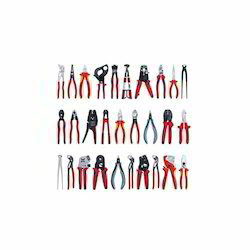 These high voltage pliers are rated for up to 1000 volts and conform to industry standards. Beryllium copper (BeCu), also known as copper beryllium (CuBe), beryllium bronze and spring copper, is a copper alloy with 0.5—3% beryllium and sometimes with other alloying elements. Beryllium copper combines high strength with non-magnetic and non-sparking qualities. It has excellent metalworking, forming and machining qualities. It has many specialized applications in tools for hazardous environments, musical instruments, precision measurement devices, bullets, and aerospace. Beryllium-containing alloys create an inhalation hazard during manufacturing due to their toxic properties. Our VDE Insulated tools are manufactured from the best selected carbon or chrome-vanadium steels which are individually hardened and tempered, offering a unique cutting edge design for maximum cutting results. Our handles are insulated from soft, elastic and impact resistant plastics to offer extra comfort and protection! Our VDE tools give you the safe assurance, and offer maximum protection while working with live electrical parts up to 1000v! 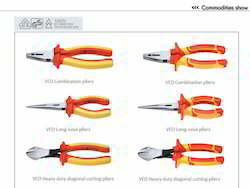 VDE - GS Certified Insulated Tools. B.A.S.H.™ sledge hammers feature Unbreakable™ steel-core technology to make them suitable for tough jobs. They are tested to withstand more than 25,000 overstrikes. The nonslip rubber grip and safety plate help to ensure the safety of the user and of those in the immediate area. 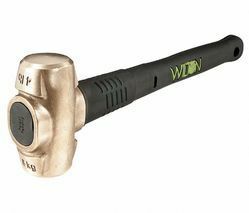 B.A.S.H® BRASS SLEDGE HAMMERS The world’s most durable Brass Sledge Hammers are non-sparking for use near combustible materials and non-marring to reduce work damage. And like all B.A.S.H® tools, our brass sledge hammers feature Unbreakable® Handle Technology, a safety plate to secure the head, no slip grip, and an anti-vibe neck. 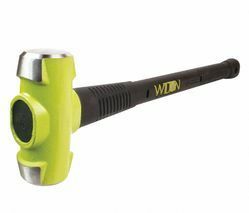 Proprietary Unbreakable™ steel-core technology makes this hammer suitable for the toughest jobs. Tested to withstand more than 25,000 overstrikes. Non-slip rubber grip and safety plate help assure the safety of the user and of those in the immediate area. Full-closing Wilton C- Clamps stands up to the rigorous demands of ship building, bridge building, and other heavy industrial and construction applications. The forged steel square-throat frame and steel spindle feature a black oxide finish for outstanding corrosion resistance. A hot upset square spindle head withstands higher torques. 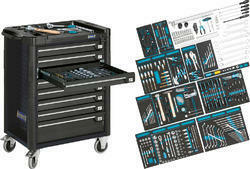 Looking for Engineering Hand Tools ?